There are some things we learn about and see in photos that make us want to experience places for ourselves, yet when we arrive, the real life experience seems not so different from what we conjured up in our heads as expectation. But there are other places that are just the opposite. 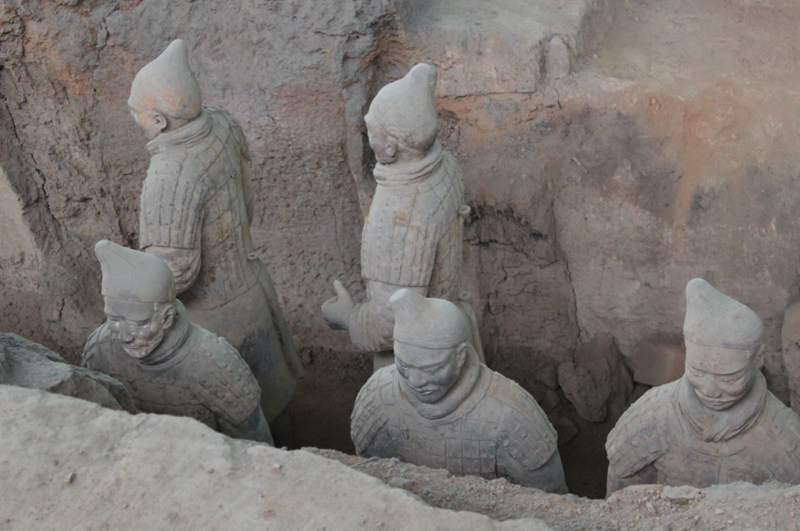 The terra-cotta soldier site is one of those places. 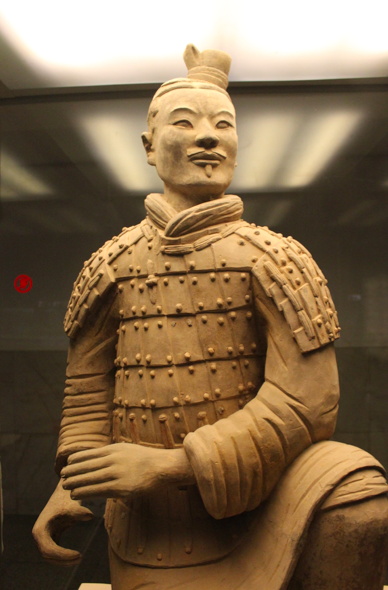 People recommend seeing the terra-cotta soldiers to those visiting Beijing, but with a little research I was reminded that these guys are actually located in Xi'an, in the Shaanxi province. This is an hour and a half flight southwest of Beijing. Far enough to make me almost second guess our short visit. But trust me, it's worth it. As with all major sites in China, we are here during off-season meaning temperatures are cold and sites like this are not swarming with tourists. 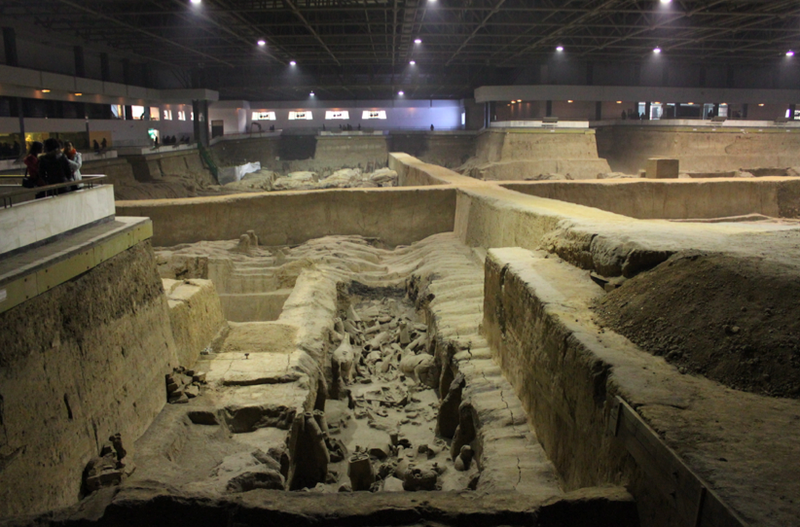 Today the spread of soldiers live beneath three very large arena structures. The first pit is filled with 6,000 infantrymen lined up in formation. More than half are still broken, sleeping beneath the earth, waiting to be excavated. 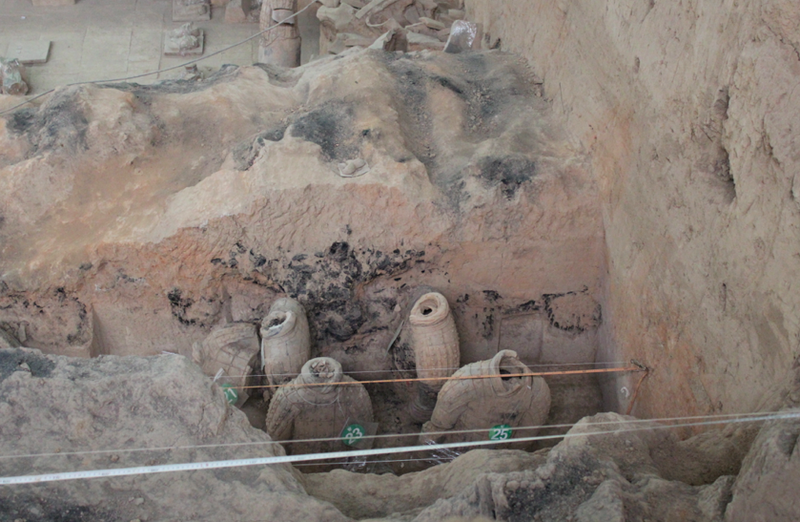 I imagine this site is an archeologist's dream, there is so much to uncover and restore. The soldiers we see today have been pieced back together since the site's modern rediscovery in 1974. 1. It's super old. 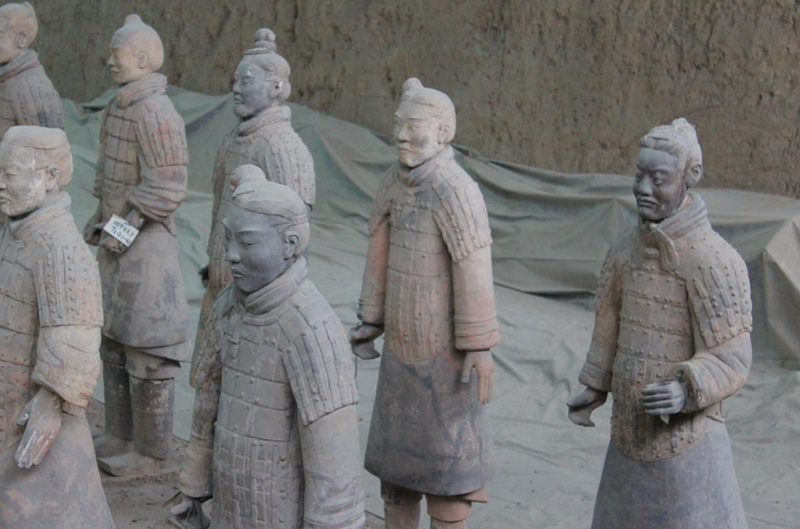 The first emperor of China, Qin Shi Huang, had 700,000 Chinese create these soldiers in 210 BC to guard his tomb. Word has it that he wanted real soldiers at first, but his advisors didn't think that would go over so well with the army. 2. 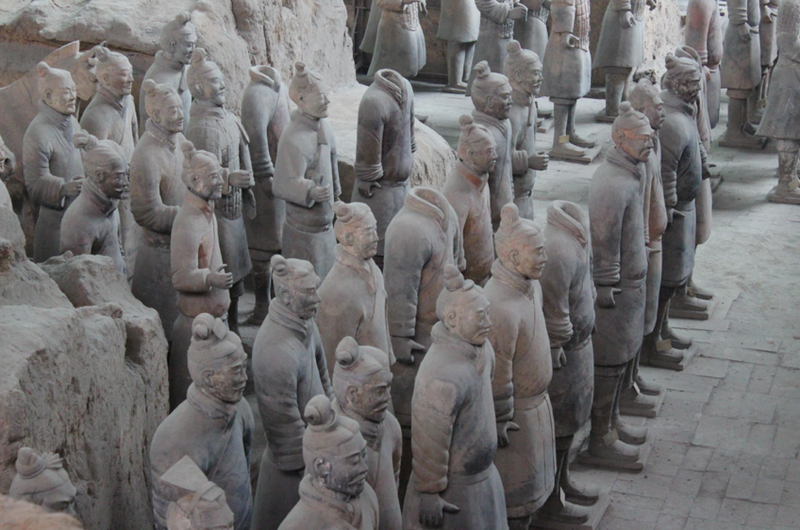 The sheer size is mind boggling––8,000 total soldiers, and that's not including horses, chariots, weapons, etc. 3. The attention to detail is crazy. Each soldier has different facial features and hair styles. 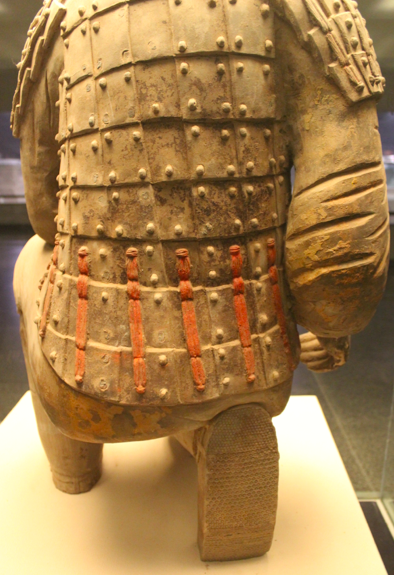 Even the detail of the texture on the bottom of a kneeling archer's shoe is impressive. It's amazing to stand here and take in such a spread while attempting to wrap my mind around the fact that a single emperor was able to command the creation of this masterpiece to guard his afterlife. 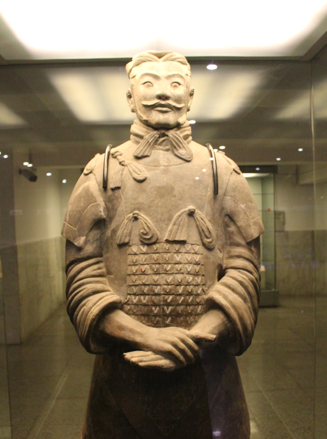 Then it's interesting to think that this guy from so long ago has years later given back to generations of his people by bringing the industry of tourism to Xi'an. His legacy provides, although perhaps not in the way he intended. Seeing this inspires me to want to make 6,000 unique pieces of something mini. But don't hold me to that.